After a huge success of our previous post of WordPress themes, here we are again with another tremendous post of wordpress themes for our readers!! 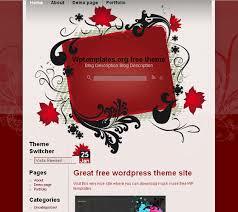 To get the best theme for your WordPress blog from the endless site available on the web is not an easy task. If you want to create a new blog or give a new smart look to your blog then you need to use WORDPRESS!! The old saying of “you get what you pay for” fits perfectly on wordpress themes…there is a huge list of beautiful, versatile and adaptable FREE themes of wordpess available on the web but going through this ocean of useful wordpress themes is not an easy task…..for this we keep on posting different wordpress themes…prior to this we have posted many more WordPress themes like wordpress e-commerce themes, wordpress business template and the like. So take a look at my today’s wordpress themes……..you will definitely get inspired by these fresh free wordpress themes…..take a look! !